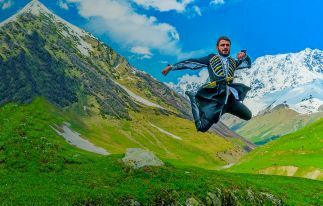 Armenia – a little gem, hidden among mountain peaks is a country with endless possibilities, which is pleased to open up its doors for all the guests. 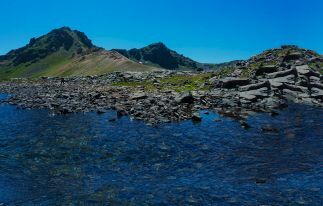 In Armenia, everyone can find something close to his soul: the country offers unlimited possibilities for the lovers of the extreme forms of recreation, for the fans of historical and intellectual tourism, and for those who just want to relax in the lap of beautiful mountainous scenery, away from the city noise. 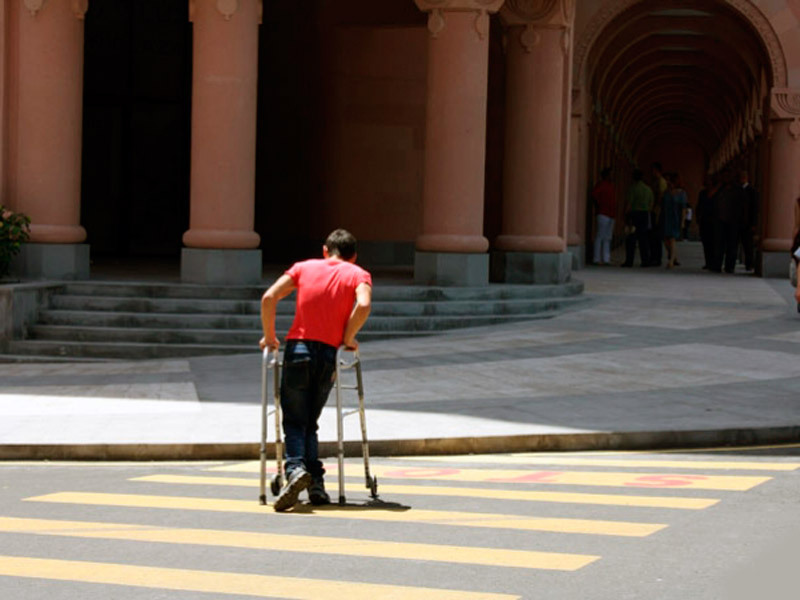 Armenia is also a perfect holiday destination for people with disabilities. 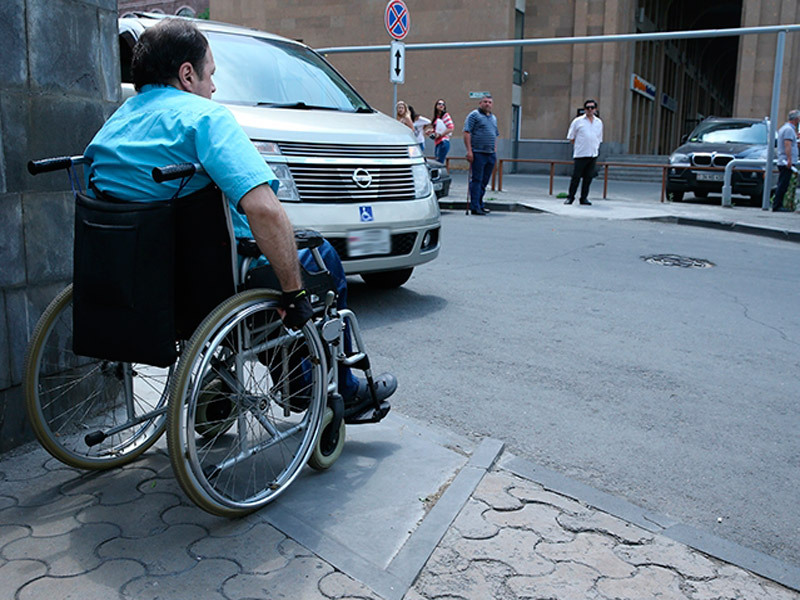 In the country, particularly in the capital Yerevan, in recent years the living conditions for people with disabilities have been considerably improved: urban infrastructure, such as public transport, sidewalks and subways, shopping malls, hotels have been specially adapted to the needs of people with disabilities. In this article, we want to introduce you to a recreation planning features for people with disabilities in Armenia. We are very pleased to help you in this difficult matter and organize an active and informative tour around Armenia specifically adapted for people with disabilities because they need special treatment and special conditions. Armenia as a post-Soviet country which has only recently recovered from the shock of “perestroika” and the post-war crisis is still at the stage of development and formation of European values such as the provision of decent living conditions and social environment for people with disabilities. The country has in recent years experienced significant changes in terms of urban infrastructure to adapt to the needs of people with varying degrees of disability. Of course there are some drawbacks: public transport is not fully adapted for use by people with any accessibility features, many tourist places, being located in mountainous areas are difficult to access. However, it should be noted that in Yerevan, many sidewalks, underground passages and entrances to buildings are mostly adapted and equipped with ramps and slopes. For visually impaired people central streets are equipped with special yellow tiles. Traffic lights at the crossroads of many central and large avenues are equipped with sound signals that inform about the green light. Yerevan Municipality continues its mission to improve the living conditions for people with disabilities across the capital under the motto “More accessible Yerevan”. As for Yerevan public transport, unfortunately, for the most part it is not adapted to the needs of people with disabilities of the musculoskeletal system. This applies to the subway, taxis, and buses. City authorities have increased the number of buses equipped with special lifts. We present a list of buses equipped with lifts for people with disabilities: bus N3, N13, N14, N20, N22, N28, N33 and N35. The distinctive features of these buses are their striking dark purple color and the presence of yellow stickers depicting the corresponding sign. Outside Yerevan recreation for people with disabilities will also be very useful, as close to nature, they not only will be able to relax, take a breath of fresh mountain air, but also to improve health condition. Among the best-known health and spa resorts towns in Armenia are Jermuk and Arzni. The infrastructure in both towns is quite well developed. Among the numerous health and spa resorts in Jermuk can be noted “Olympia”, “Jermuk Armenia”, “Jermuk Sanatorium No. 1”, “Jermuk Ararat”; and the sanatorium “Arzni” in the same city. All of the above-mentioned resorts offer different profiles of treatment: the treatment of the musculoskeletal system, metabolic disorders and hormonal disruptions, disturbances of the endocrine and nervous systems, and more. They offer galvanic and mineral baths, massages, physiotherapy and electro-physiotherapy. 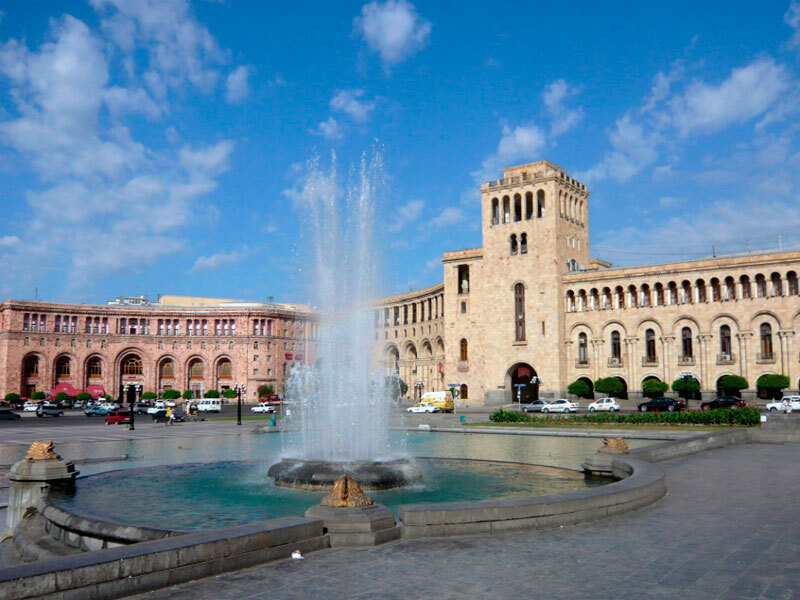 The capital of Armenia Yerevan is an ancient city, which according to historians is older than Rome for 30 years. In Yerevan, the new and old is gracefully interwoven with each other creating a perfect unique flavor. Getting to know this beautiful city, you can easily start with a city-tour from the center. You can freely walk around the city, because as noted above, many of the city sidewalks and street lights are adapted for people with disabilities. City tour can be started from the Republic Square with the famous singing fountains, then continue walking along the Northern Avenue – the most modern part of the city. Northern Avenue connects the Republic Square with the State Theatre of Opera and Ballet. Here are focused a lot of cafes, restaurants and shops. The pedestrian city tour in Yerevan can be finished at the Cascade complex with a beautiful garden with sculptures of contemporary art. 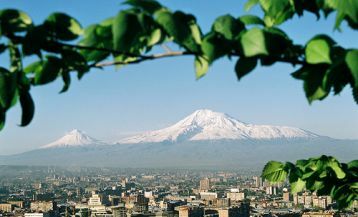 If possible, we recommend climb to the top of the Cascade via escalator and enjoy breathtaking views of the biblical Ararat and Yerevan from the bird’s-eye. If you have transport service and an accompanying person we recommend visiting the Matenadaran – world-famous repository of ancient Armenian manuscripts, which also houses the largest and the smallest books in the world. It is also suggested to commemorate the victims of the Armenian Genocide of 1915 and visit the unique Memorial of Tsitsernakaberd and the Genocide Museum, erected in memory of the innocent victims. 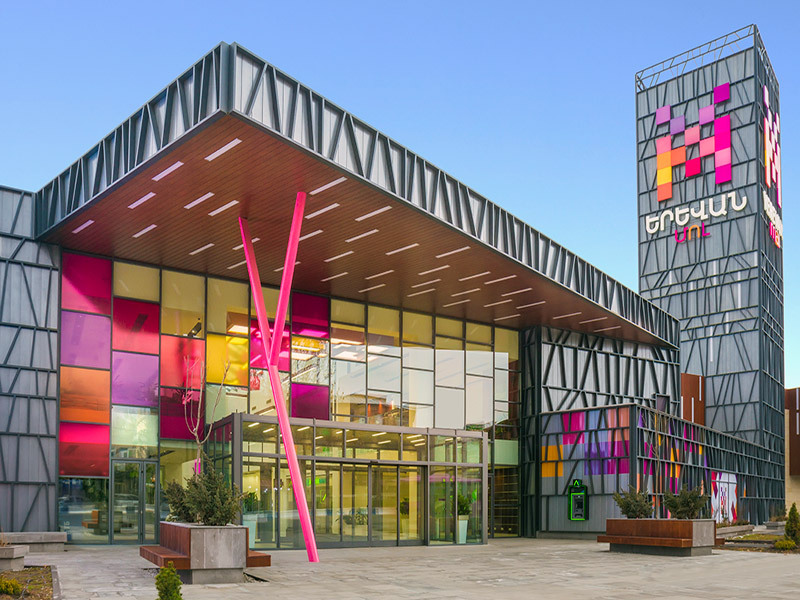 Over the past few years a few large shopping centers, which meet the requirements for people with disabilities have been constructed in Yerevan: Yerevan Mall, Dalma Garden Mall and Rossia Mall. 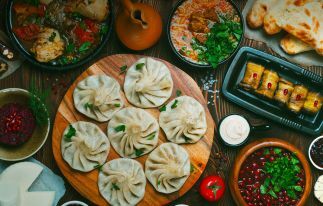 Here you can not only go shopping but also watch your favorite movies, try Armenian fast food in the food court area, or just have a cup of Armenian coffee. All three shopping centers are equipped with ramps, escalators and elevators. In Yerevan Mall and Dalma Garden Mall there is free underground parking, which is also adapted for people with disabilities. 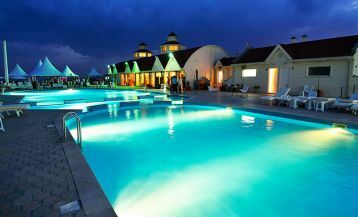 Holiday in Armenia is not limited only by the scope of the capital. It is no wonder that called Armenia is called an open air museum: despite its modest size, the country has a huge number of historical monuments and cultural attractions which definitely worth a visit. We cannot state that all the historical monuments are arranged well to the needs of people with disabilities. After all, Armenia is primarily a mountainous country, and many of its cultural monuments are in rather remote places. However, having a vehicle and a professional guide-assistant or any accompanying person even these peaks can be conquered! 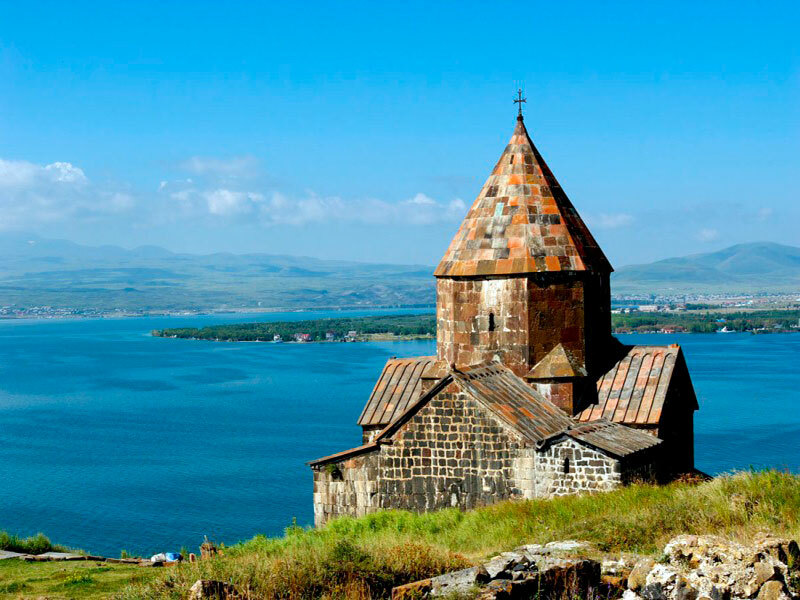 We suggest starting conquering Armenia with Lake Sevan – the blue pearl of the Armenian Highland, which is the largest highland mountain freshwater lake in the world. Lake Sevan is a popular recreation area, especially on hot summer days. The water temperature ranges from 18-23 °C, which is very convenient for swimming. Lake Sevan and Yerevan are connected by the highway, and the one way takes only about an hour. Not far from Yerevan, at the distance of 28 km, is situated Garni Pagan Complex, one of the most ancient pagan temples in the world, built in 1 AD on the edge of the cliff which became the residence of the Armenian king Trdat and his successors. Armenia is a country of contrasts. Perhaps this explains the fact that close to a pagan temple is a miracle of Christian architecture – Gegard Monastery Complex, literally carved into the rock. This miracle of medieval Armenian architecture contains a number of churches and tombs of saints, surrounded by a beautiful natural landscape and high cliffs. Historical and cultural complexes of Garni and Gegard are included in the list of World Cultural Heritage by UNESCO. The list of must-visit attractions includes Tatev Monastery, built in 9-10 centuries AD and protected by UNESCO. To get to the Tatev Monastery, it will be necessary to overcome about 270 km in one direction, but it’s worth it. The road itself is extremely picturesque with mountain landscapes changing each other. Next to the monastery of Tatev is the longest cable car in the world called “Tatever”, which translated from Armenian means “Wings of Tatev”. Tatev cableway is included in the Guinness World Records book for its length of 5.75 km and a maximum height of 380 meters! We would like to note that the “Wings of Tatev” is built to a high standard and is absolutely safe: spacious cabins are able to accommodate up to 10 people, including people with disabilities. 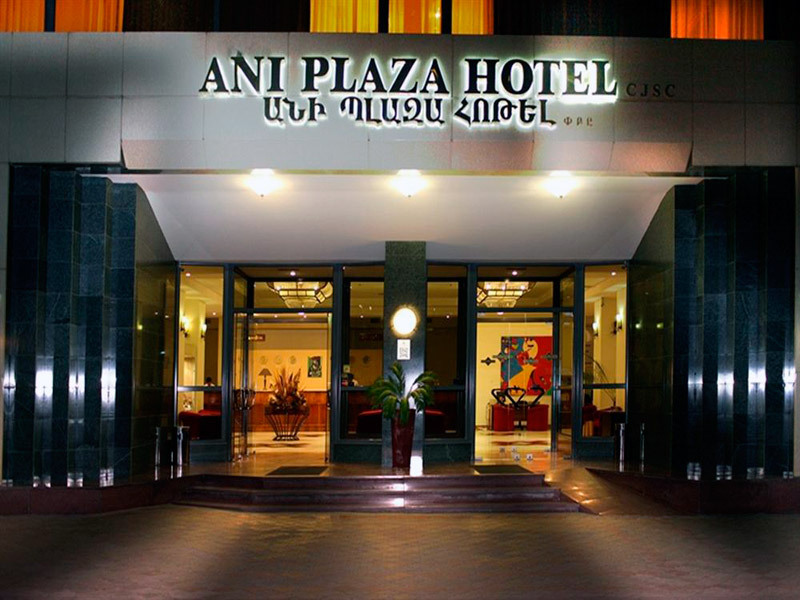 On the way back we recommend visiting the village of Areni – the wine capital of Armenia. Here you can visit the Areni winery, where you will be given the opportunity to taste various wines and get to know the history of wine culture in Armenia. 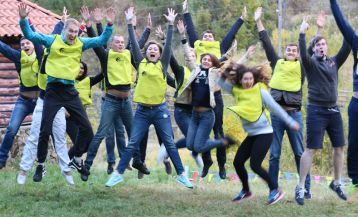 In this article, we have tried to briefly introduce you to common recreational activities in Armenia for people with disabilities. “Araratour” is happy to help you arrange a special tour, adapted for people with disabilities.